Buying a multifamily home can put you on the path to financial freedom. How? You'll own multiple units in a building, which means you can rent them out and generate additional income, some of which can even cover your mortgage payments. It's a sweet deal, right? But before you start stocking up on welcome mats, it's important to consider the realities that come with owning and managing a multifamily property. What is a multifamily home? A multifamily home is defined as any residential property in which there are two or more separate dwelling units, each with its own kitchen, bathroom, utilities, etc. That includes everything from duplexes to apartment complexes with hundreds of homes. 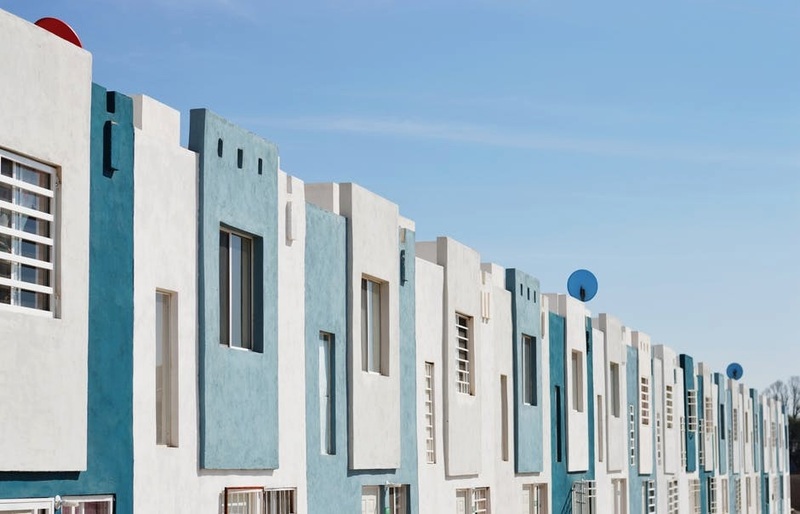 Also known as multidwelling units, or MDUs, they're often attractive to people who want to begin investing in real estate. Owners typically either rent out all of the units or live in one unit and rent out the rest for extra income. The biggest advantage to buying a multifamily home is the immediate potential for income by renting out the units you’re not living in. Under the best circumstances, other people will essentially be paying your mortgage. “When you buy a multifamily home, the price per square foot is generally on par with that of a single-family home of the same quality and in the same area,” says Gabe Peterson, a real estate agent with Northwest Homebuyers in Washington. Other benefits can include tax breaks. With investment properties, you can typically write off all expenses on the units you don't live in, including mortgage, maintenance, and upgrades, and you can take depreciation of the asset on your taxes, according to Natalie Alchadeff, owner of the HB Group in Los Angeles. Buyers may also qualify for FHA financing (which offers lower down payments and interest rates) if they purchase a multifamily property up to four units—and they also live in the property. "That's a sweet deal for investments that would usually require a much higher down payment," says CJ Johnson, a broker and real estate consultant with Black Label Holdings Real Estate, in Baton Rouge, LA. If you're planning on paying your mortgage using your tenants' rent money, you have to make sure the units stay rented. If you don’t, the full mortgage is on your shoulders. Experts recommended that buyers have at least one year’s rent saved up in case of emergencies in addition to a fund for repairs, which are also your responsibility. Some multifamily homes come with tenants already living there. The benefit, of course, is that you'll have immediate revenue. The downside? You don't have an opportunity to vet those renters yourself. And if you’re planning on living in the property, they are going to be your neighbors, too. If you're not inheriting tenants, you'll get to choose who lives in your building, but you’ll also have to pay your mortgage out of your own pocket until you find renters. To ensure you score a deal that works for you, figure out all the numbers before you sign on the dotted line. That includes the potential rental income, utility costs of a multifamily home, and taxes you'll pay. Reed typically recommends that buyers start small when purchasing their first multifamily property. “While it might seem like big risks yield bigger rewards, it's often wise to ensure that you can handle what you're getting into before you get stuck with a major liability," he adds. Buying a multifamily home may be a great first step into the world of property ownership. However, there are no guarantees, so you need to make sure you know what you’re getting into so you set yourself up for the best possible return on your investment.